Erik Koons is a partner at Baker Botts in the antitrust and competition practice group. His practice focuses on representing litigants in private antitrust and complex commercial litigation matters. 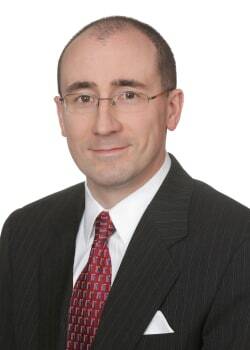 Mr Koons has handled antitrust and other complex commercial litigation matters in a wide range of industries including healthcare, pharmaceuticals, computer hardware, food and beverage, petroleum, consumer electronics and waste disposal. These litigation matters have addressed a variety of legal theories including monopolisation, monopsonisation, price-fixing, market division, patent misuse, RICO claims, attorney liability and a variety of commercial actions. Mr Koons has also represented numerous companies in antitrust audits, internal investigations and in designing and implementing antitrust compliance programmes. In June 2010, the District of Columbia Bar Board on Professional Responsibility appointed Mr Koons to serve on the Board’s professional responsibility Hearing Committee for a term of three years. The Board on Professional Responsibility is an arm of the DC Court of Appeals and is charged with adjudicating attorney discipline cases as well as administering the attorney discipline system. The Hearing Committee is responsible for adjudicating cases of attorney misconduct at the trial level, considering petitions for negotiated discipline and contested petitions for reinstatement.